TORONTO, April 13, 2018 – According to the Royal LePage House Price Survey released today, home prices in Canada saw slowing year-over-year increases in the first three months of 2018. On a quarter-over-quarter basis for the same period, home prices in many markets across the country remained relatively flat, with approximately half of the markets studied by Royal LePage posting slight declines. These declines were most prevalent in the Greater Toronto Area (GTA), and to a lesser degree in the Greater Vancouver detached home segment. Eroding housing affordability and the impact of government measures restricting access to mortgage financing have led to dips in demand and softening of price appreciation across the nation. While the 2018 spring market has started slowly in the GTA and Greater Vancouver, a return to normal activity levels is anticipated in the second half of the year. The Royal LePage National House Price Composite, compiled from proprietary property data in 63 of the nation’s largest real estate markets, showed that the price of a home in Canada increased 6.2 per cent year-over-year to $605,512 in the first quarter of 2018. When broken out by housing type, the median price of a two-storey home rose 5.7 per cent year-over-year to $715,726 and the median price of a bungalow climbed 4.5 per cent to $501,985. Condominiums continued to witness the highest price appreciation rates among housing types studied, rising 10.3 per cent to $418,245, driven by significant year-over-year price gains in the country’s largest housing markets. Greater Vancouver witnessed the most significant condominium price gains among Canada’s major metropolitan areas, posting a 19.8 per cent increase to a median price of $668,342, while several suburban regions including North Vancouver, Burnaby, Coquitlam, Langley, Richmond and Surrey surpassed the 20 per cent mark in annualized condo price gains. In the GTA, the median price of a condominium increased 11.9 per cent year-over-year to $471,854 in the first quarter, and decreased slightly on a quarter-over-quarter basis, decreasing 1.3 per cent. In contrast, the median price of a two-storey home in the GTA increased 1.8 per cent year-over-year to $939,610 and depreciated 2.4 per cent quarter-over-quarter, while bungalows appreciated 1.1 per cent year-over-year to $788,501 and depreciated 2.1 per cent quarter-over-quarter. Bucking this trend, condominiums in the Greater Montreal Area appreciated 3.5 per cent to $314,554 year-over-year compared to two-storey homes, which appreciated 8.3 per cent to $492,751, due to the relative affordability of two-storey homes in the region. The new Office of the Superintendent of Financial Institutions (OSFI) mortgage rules came into effect in January 2018, which include a financing stress test for borrowers with uninsured loans, intended to ensure that home purchasers can withstand higher mortgage payments as interest rates rise. At the outset of the quarter, sales activity levels fell at both national and regional levels year-over-year, in part due to an observed “pull-ahead” in transactions at the end of 2017, as buyers sought to solidify home purchases before the new rules came into effect. As Royal LePage forecasted in its December 2017 Market Survey Forecast, the new measures have played into a slower housing market so far this year, as many people adjust their expectations and take a “wait and see” approach. In the GTA, this has somewhat prolonged softer market trends in the detached home segments – particularly in surrounding suburbs, which had previously been witnessing the highest appreciation rates in the region. From low interest rates through to solid job creation, the fundamental conditions to support a strong housing market continue to remain in place. Canada’s economy is currently on solid footing. The Organisation for Economic Cooperation and Development (OECD) recently raised its Canadian growth projection for 2018. In the past year, the Canadian economy grew by an estimated three per cent, making it the fastest-growing among the G7 advanced economies. “While we have recently seen both overshooting and corrections in Canada’s largest markets, on a national basis we believe the Canadian housing market is amidst a long-term expansionary cycle supported by strong economic fundamentals,” said Soper. “Canada’s stature is rising on a global scale. Our cities continue to be ranked among the most desired places to live in the world. Our economy is strong, our unemployment levels are the lowest they’ve been in four decades and we have one of the fastest-growing populations among advanced economies. These factors combined are incredibly supportive of long-term housing demand and valuations. In February, the British Columbia government introduced a slew of new tax measures targeting the region’s housing market. These included the introduction of a speculation tax on qualifying secondary homes, an increase to the foreign-buyer tax as well as an expanded list of affected regions and an increase to the property-related school taxes and land-transfer taxes on homes worth over $3 million. Alberta led the country in economic growth in 2017, according to the provincial government which estimated that the economy grew by 4.7 per cent. For 2018, solid growth is expected, with the province raising its forecast to 2.8 per cent, citing oil production, manufacturing, population growth and spending as key drivers of economic activity. Employment in the province is now higher than it was prior to the downturn in oil-price during 2014. As of March 2018, the province’s unemployment rate was 6.3 per cent, down from the peak of nine per cent reached in the fall of 2016, contributing to relatively stable year-over-year home prices in the region. In the first quarter of 2018, the aggregate home price in Calgary increased 2.4 per cent year-over-year to $475,160, while the price of a home in Edmonton decreased a slight 0.6 per cent to $377,986. Like Alberta, Saskatchewan is recovering from its oil-price induced downturn and is expected to grow at a pace above the national average in 2018, with agriculture, mining and manufacturing expected to be top contributors to the province’s expansion. In March, the unemployment rate in the province was 5.8 per cent, the same as the national average. Over the past year, employment has been virtually flat. Data from the first few quarters of 2017 suggest that the province is losing population to other provinces, although international migration has helped lift the overall population to a record level. Still, the economy is struggling to recover from the dislocations of recent years – which has been a drag on housing demand and market expansion the region. The aggregate price of a home in Regina and Saskatoon decreased 1.0 per cent year-over-year in the first quarter, to $329,727 and $376,111, respectively. Following several years of growth that were boosted by large scale infrastructure projects, Manitoba’s economy is now slipping back into what the provincial government is referring to as “the new normal.” As a result, most forecasters expect provincial growth to be slightly under the Canadian average for the near term. As of March, the unemployment rate in the province was 6.2 per cent, above the national average of 5.8 per cent. Although employment has grown over the past year, full-time jobs have declined, also suggesting that the province is going into a slightly slower growth mode. In the first quarter, the price of a home in Winnipeg rose 5.1 per cent year-over-year to $291,671. In the first quarter, Ontario continued to benefit from roaring economic strength in the U.S., which has boosted the province’s exports and manufacturing sector. Although growth may come down from that high this year, the economy is expected to continue a solid expansion. While many Ontario cities have done well in recent years, in 2017, the Greater Toronto Area led employment growth in the province, adding 69,700 jobs. Like B.C., Ontario is adding population via natural increase, international immigration and interprovincial migration – in contrast to most of the previous decade where Ontario lost population to other provinces such as Alberta. In the first quarter of 2018, the aggregate price of a home in the Greater Toronto Area rose 3.1 per cent to $802,252, while the City of Toronto saw an increase of 6.3 per cent year-over-year to $814,992. A number of surrounding suburbs, which had previously been outpacing the core, posted much lower year-over-year rates of appreciation than in recent quarters. The aggregate price of a home in Whitby, Ajax, Pickering and Oshawa rose 1.6 per cent to $660,618, 2.1 per cent to $664,578, 1.9 per cent to $690,884 and 3.0 per cent to $531,079, respectively. During the same period, the price of a home in Richmond Hill decreased 6.0 per cent year-over-year to $1,142,577, while the price of a home in Markham decreased 3.5 per cent to $991,068. Meanwhile, other nearby regions in the Golden Horseshoe including Niagara/St. Catharines, Kitchener/Waterloo/Cambridge and London maintained substantial year-over-year home price appreciation of 17.9 per cent, 15.4 per cent and 10.9 per cent to $397,807, $474,437 and $352,907, respectively – though, like many markets in the region, London and Kitchener/Waterloo/Cambridge saw price decreases on a quarter-over-quarter basis. In the nation’s capital, Ottawa home prices continued to appreciate at a healthy pace, rising 4.7 per cent year-over-year to an aggregate price of $437,243. Quebec’s economy was operating on all cylinders in 2017, with strong growth expected to continue throughout 2018. Last year, several industries were operating at close to capacity including construction, manufacturing and mining. Strong job creation has supported income growth, which has been further accentuated by a provincial tax cut. In March, the unemployment rate in Quebec was below the national average at 5.6 per cent, and down a full percentage point from March 2017. Notably, full-time job growth in Quebec over the past year has been a very strong 4.5 per cent, which translates into 150,000 full-time jobs. Overall, Montreal industries, particularly manufacturing and tourism, are expected to gain from the strong U.S. economy, along with stable economic conditions in the balance of Canada. The proportion of Quebec consumers who feel that the time is right to make a major purchase, such as a property, remained stable in March at 37 per cent. Montreal’s residential real estate market is expected to continue to do well this year as demand increases, especially in the single-family home segment where supply shortage puts upward pressure on prices. The aggregate price of a home in the Greater Montreal Area rose 6.1 per cent year-over-year to $389,197 in the first quarter. Montreal West and Montreal Centre saw the highest rates of appreciation in the region, rising 10.7 per cent and 9.2 per cent year-over-year to $460,657 and $493,244, respectively. In other parts of the province, the aggregate price of a home in Sherbrooke rose 6.1 per cent to $259,155, while the price of a home in Quebec City increased 1.0 per cent to $297,198. During the same period, the aggregate price of a home in Trois-Rivières fell 3.5 per cent year-over-year to $197,736. Meanwhile the price of a home in Gatineau increased 5.1 per cent year-over-year to $269,973. In Atlantic Canada, economic performance and housing market trends varied province by province. Newfoundland and Labrador’s economy is expected to remain weak in 2018, while the government remains in a tight fiscal situation. However, the housing market in St. John’s was active in the first quarter, with the aggregate price of a home increasing 5.5 per cent year-over-year $344,699. During the same period, Moncton and Fredericton posted slight price increases of 2.2 and 1.4 per cent to $189,981 and $251,194, respectively, while Saint John continued to see a decline in the city’s aggregate price, decreasing 1.5 per cent to $205,196. In Nova Scotia’s capital, the aggregate price of a home in Halifax rose 2.1 per cent year-over-year to $311,841. Prince Edward Island performed better than most provinces in 2017, with steady economic growth expected for the coming year. In the first quarter, the aggregate price of a home in Charlottetown saw among the highest year-over-year growth in the country, rising 14.8 per cent to $267,498. Beginning in the first quarter of 2018, seven real estate markets were added to the Royal LePage National House Price Composite. 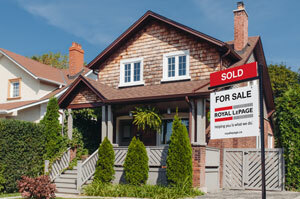 The new regions are smaller markets in Ontario, Alberta, Quebec and British Columbia. Due to the relative size of the markets, any change to the Royal LePage National House Price Composite is expected to be within 0.15 per cent. Financial Accountability Office of Ontario, FAO Commentary, February 14, 2018. Conference Board of Canada, QFREB Economic News, March 22, 2018.